Posted on Tue, Mar 20, 2012 : 12:28 p.m. 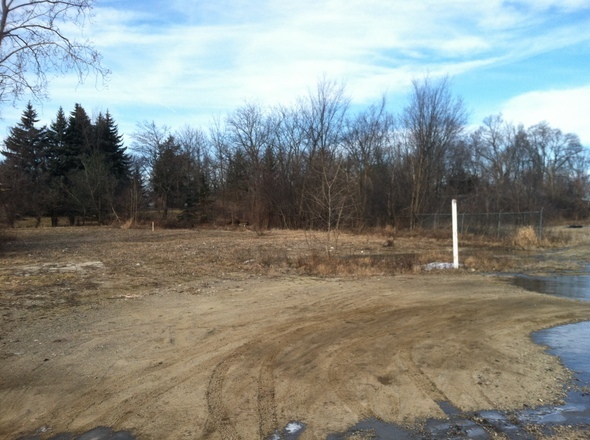 The owner of a 3-acre site in Ann Arbor is looking to construct apartments and single-family homes after plans to develop the site fell through years ago. Ann Arbor City Planning Commission will consider a request Tuesday night for a residential compound development near the Maple Road and Miller Avenue intersection in Ann Arbor. The Maple Cove Apartments & Village project is proposed for a mostly vacant 3-acre site off North Maple Road. Property owner Muayad Kasham, who owns Superior Lawn Care & Snow Removal in Ann Arbor, wants to demolish an existing home and construct two 18-unit, 3-story apartment buildings and seven single-family homes with a 64-space parking lot. Site plans for the apartment buildings include 12 one-bedroom units and 24 two-bedroom units. Access to the site is proposed via two separate locations off North Maple Road - one for the apartment buildings and one for the single-family units. This property, which is located one mile south of Skyline High School, has on and off been a target of development since 2005, when plans fell through to construct single-family homes on a portion of the site. Then, in 2008, developers planned to build Maple Cove: An office and residential complex consisting of two 27,300-square-foot buildings and one 11,454-square-foot building. Jim Chaconas, a local commercial real estate agent who was marketing the space at the time, said the project fell through when it couldn’t secure financing. Kasham called the current site an "eyesore" and added: "It has a lot of potential, and is close to M-14, Skyling [High School] and downtown [Ann Arbor]." City planning officials are recommending approval of the project.